More people buy Toyota cars in South Africa than any other car brand. As such, the need for genuine warranty solutions for South African drivers is important. For this, there is an extended warranty coverage for your Toyota. This warranty is for factory faults and other breakdowns and malfunctioning of the your Toyota motor vehicle, from older cars like the Tazz, to newer models like the Prius, and everything in between. A new Toyota comes with a standard warranty that continues for 3 years/100,000km after you bought the car. 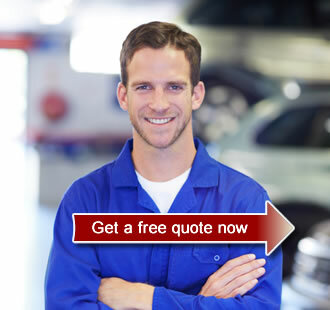 Thereafter, you can get a quote to extend your motor warranty. However, even if you’ve already bought a used Toyota, you can get an estimate of how much the aftermarket Warranty offer can cover your Toyota for. This extended warranty for used cars gives you coverage for up to 15 years or 300,000 km. That’s a whole lot of driving you can push there. This also reflects on Toyota cars’ durability to take you that far. With all of this above however, don’t be under the impression that you can claim under your warranty if you are a negligent driver or have not maintained your car adequately. Under this extension policy, Warranty Extender will not pay the member for this type of behavior. Also, you might think that because Toyota makes cars that last for (on average) longer than other cars, you don’t need a warranty. You would be wrong. The Toyota extended warranty gives you access to qualified mechanics who know exactly what they’re doing. Your extended car warranty makes sure that only genuine Toyota parts are fitted where and when they need to. You also get access to a 24-hour customer service line which will be outlined once you select your policy – so get a quote above now.